ONCHAN, Isle of Man – September 19, 2016 – ‘Lads Night In’, an annual one-night poker event bringing friends together at home to help fight prostate cancer, is returning for a second year on Friday, October 21. The event is being run by leading men’s health charity, Prostate Cancer UK, and the world’s number one poker site, PokerStars, an Amaya Inc. (Nasdaq: AYA; TSX: AYA) brand. ‘Lads Night In’ is calling on men and women of all ages to organise an evening in, play cards, and have a laugh while taking the opportunity to raise money and awareness for a great cause. 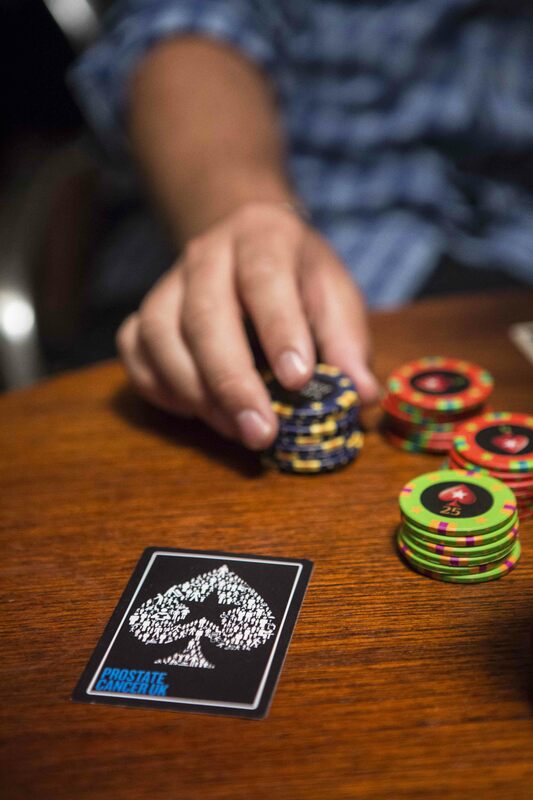 Following on from the success of last year’s at-home events and funds raised, where over 5,400 people took part and £114,000 was donated, we’re asking for poker fans to spread the word, sign up and join in. A special ‘Lads Night In’ pack, including a deck of cards, a dealer button and the rules of poker for anyone unfamiliar of them, will be sent to those who register. To sign up and run a ‘Lads Night In’ people can visit www.prostatecanceruk.org/ladsnightin. Funds raised across the country will go towards ground-breaking research that could lead to earlier diagnosis and better treatments, as well as much-needed support services. To sign up and for full information about ‘Lads Night In’ visit www.prostatecanceruk.org/ladsnightin. Prostate Cancer UK leads the fight against prostate cancer. We fund ground-breaking research, drive improvements in treatment, and fight injustice in care. Now we’ve set ourselves the toughest challenge yet: to stop prostate cancer being a killer. Through shifting the science over the next 10 years to focus on radical improvements in diagnosis, treatment, prevention and support, we can make prostate cancer a disease the next generation of men need not fear. 10,900 men die from prostate cancer in the UK each year. That's one man every hour. It’s the most common cancer in men, with 330,000 living with and after the disease in the UK. Prostate cancer is set to become the most commonly diagnosed cancer of all in the UK in 2030 - which is why we must all act now to curb its power to kill. Prostate cancer treatment often causes devastating, long term side-effects. Incontinence and erectile dysfunction strike at the heart of what it means to be a man. Anyone with concerns about prostate cancer may contact Prostate Cancer UK's Specialist Nurses in confidence on 0800 074 8383 or online via the Live Chat instant messaging service: www.prostatecanceruk.org. The Specialist Nurse phone service is free to landlines and open from 9am to 6pm Monday to Friday with late opening until 8pm on Wednesdays. Visit www.prostatecanceruk.org now to help beat this disease. PokerStars is the flagship brand of Rational Group, which operates gaming-related businesses and brands, including PokerStars, Full Tilt and the European Poker Tour. In 2012, 2013 and 2014, Rational Group companies in the UK and Isle of Man was recognised as one of the top 25 best places to work by the Great Place to Work Institute's Best Workplaces - Large category ranking. Rational Group entities in Costa Rica and Dublin also achieved the same accolade in their respective local rankings in 2014. PokerStars is ultimately owned by Amaya Inc. (Nasdaq: AYA; TSX: AYA).